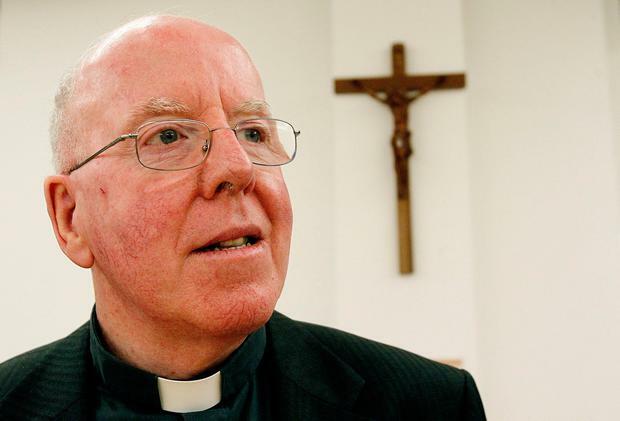 John McAreavey, the widower of Michaela Harte, has defended his uncle, Bishop John McAreavey, who resigned as Catholic Bishop of Dromore last Thursday. The bishop resigned from the diocese, which includes parishes in Antrim, Armagh and Down, following controversy over his decision to officiate more than 15 years ago at the funeral of a priest who was a known child abuser. It followed a BBC Spotlight programme broadcast last month on Fr Malachy Finnegan, who spent most of his ministry at St Colman's College in Newry and who was the subject of 12 allegations of serious sexual abuse. The programme also investigated the Church's response to those allegations. Yesterday, as his uncle issued a farewell message to his flock, his nephew, also John McAreavey, denounced what he called callous and vindictive coverage of the Bishop's resignation. He also indicated for the first time that he also felt personally injured and aggrieved at his treatment since the murder of his wife Michaela Harte while on their honeymoon in Mauritius. He has since remarried. In a tweet yesterday he wrote: "In the past seven years, I've lived with people questioning my decision to seek life and love again, I've been accused of unspeakable acts, I've endured injustice of a great magnitude… but to see my uncle, John McAreavey, vilified in recent times like he has been, causes great pain and anger. Uncle John has dedicated his life to God and to serving others. He has always acted with people's best intentions at heart. "To see some media use vulnerable people to achieve a 'demonstration of great power' is both callous and vindictive. We need to care for people by listening and trying to right the wrongs of the past, not using their plight for personal gain." Last night Bishop McAreavey issued a final message to his flock which will be read at all Masses in the diocese today. He states: "Today I am writing my letter of resignation as Bishop of Dromore to Pope Francis. I do so with a heavy heart. I wrestled with this decision over recent weeks; it was not an easy decision to take. Following recent media coverage which has disturbed and upset many people, I decided on Thursday to resign. "I would ask you first and foremost to continue to hold in your prayers those who have been abused and all who are suffering at this time," he added. Until new arrangements for the leadership of the diocese are in place, Canon Liam Stevenson, the Vicar General, will take responsibility for the day-to-day administration of the diocese.